This bug is fixed in Outlook 2010 SP1. 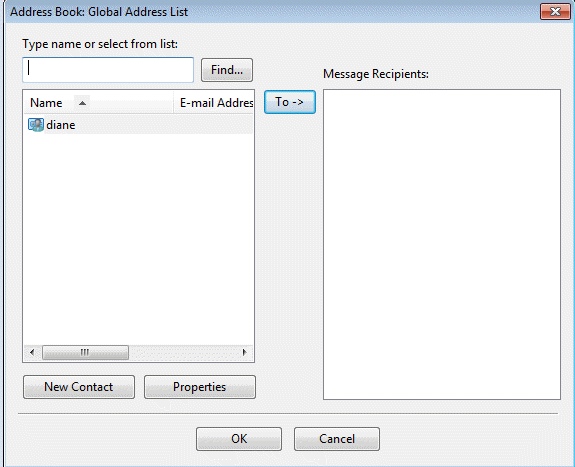 When you create a quick step that contains an address and use only POP3, IMAP, or Outlook Hotmail Connector accounts, Outlook uses the Windows address book instead of Outlook's address book. When you select an address from the list (assuming you have any in the Windows address book) you can't save the quick step. You can't type the address in - it resolves to the address card. After you save the Quick Step, you can move the contact card back to the Contacts folder. When you create a quick step containing an email address, you'll need to type or paste the correct address in the To field. 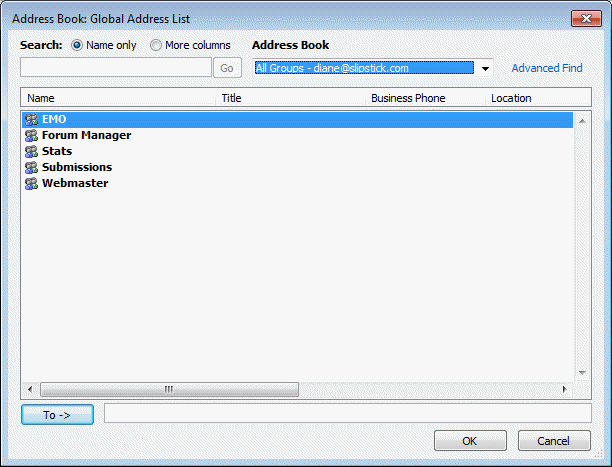 Begin creating the Quick Step and open the Address book dialog. Select the contact and click Properties. Copy the email address then delete it from the contact card. Paste it in the Notes field so you can restore it to the card later. Return to the quick step and paste the copied address in the To field. Once the Quick Step is saved you can put the address back in the email address field on the card. In case it helps anyone. I was having the same problem and I found that it was because my default mail client was not set to Micorsoft Outlook. HKEY_LOCAL_MACHINE\SOFTWARE\Clients\Mail : Just changed it to Microsoft Outlook and everything was working properly again. No idea how it got changed for me but that was all I needed to do. Do you have Office 2010 SP1 installed ?If so, you don't need the steps - it just works.